Home Surveys How Should Pharma Edit Wikipedia Drug Articles? In a June 13, 2012, open letter to pharmaceutical companies, Bertalan Meskó, MD, founder and managing director of Webicina.com, urged them to appoint employees as Wikipedia “spokespeople” who would perform all Wikipedia article edits on behalf of the company (see “An open letter to pharma: please employ a Wikipedian”; see resources). 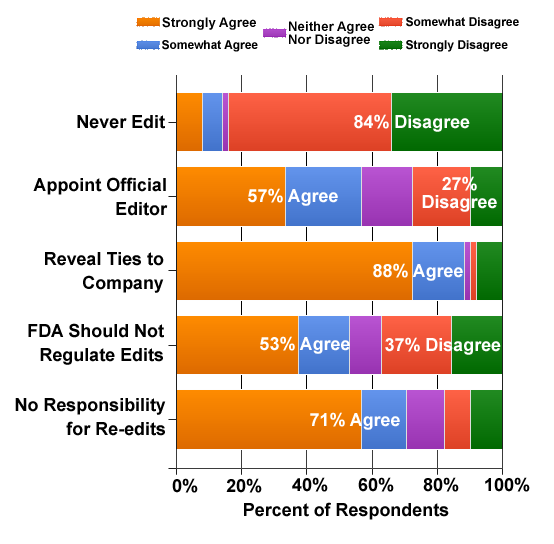 This survey asks your opinion of various issues related to editing Wikipedia pages by pharmaceutical companies and specifically your opinion of Dr. Meskó’s proposal. After completing the survey — it takes only 5 minutes — you will be able to see the de-identified results to date. Below is a sampling of results as of 2 August 2012. What’s your view? Take the survey and tell us (you can view up-to-date survey results after taking the survey here). Partial results are summarized in charts below. You can view a more detailed, complete and up-to-date online Summary of Responses after taking the survey yourself: here. Pharma should NOT correct Wikipedia “misinformation” under any circumstances. Pharma should appoint employees or hire outside “Wikipedians” (ie, trained specialists) to edit “misinformation” on Wikipedia. 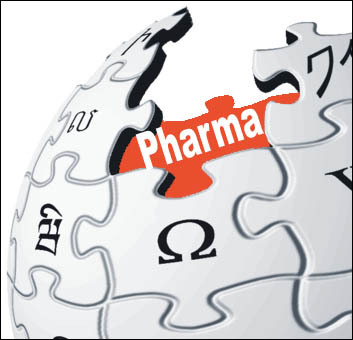 When pharmaceutical company employees or agents correct “misinformation” on Wikipedia, they must reveal their ties to the company. When pharma corrects Wikipedia “misinformation” about Rx products, FDA should NOT consider this promotional labeling subject to regulation. Results to date (2 August 2012) are shown below. What’s your view? Take the survey and tell us (you can view up-to-date survey results after taking the survey here).